Everyone has a past. Everyone has a story. Every story has a past. ​I am Sandy Craig-Patak, a Professional Genealogist, that started my own genealogical search when I was eight years old. I was blessed with a Grandmother that made sure to instill the stories of the past to her grandchildren. 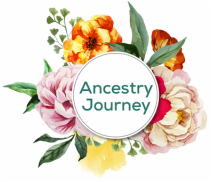 ​Ancestry Journey can help you track down your stories, break your brick walls, become your adoption angel and finally bring your past to your present. ​I truly believe in the Journey and the Destination. Keep in mind that there might not ever be a destination and that is truly ok.
Our Travels, Surveys and Photographs ..... researching my own Ancestors and discovering their journeys along with mine.